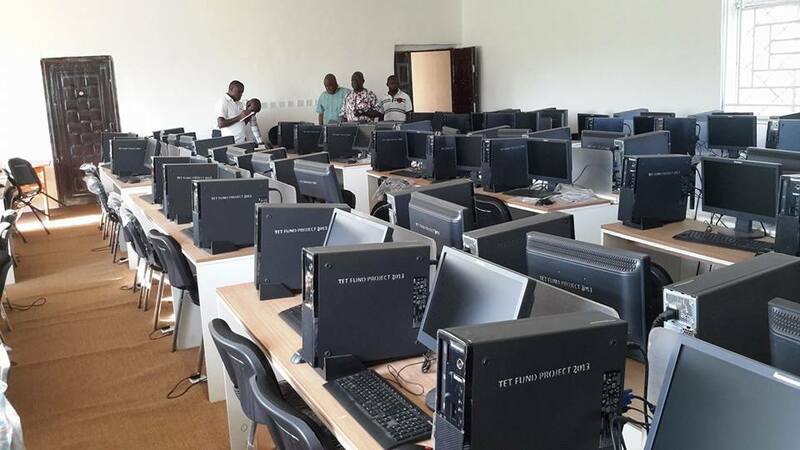 The quiet revolution at Benue State Polytechnic, Ugbokolo makes the above quotation easily come to mind. There has been great academic and infrastructural transformation at the polytechnic with the construction of new structures in the institution. 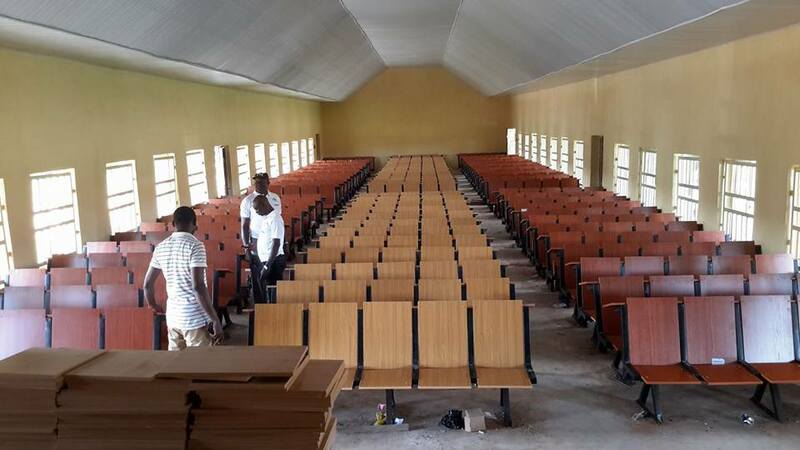 This massive transformation could not have been made possible without the prudent management of scarce resources by the Rector of the polytechnic. 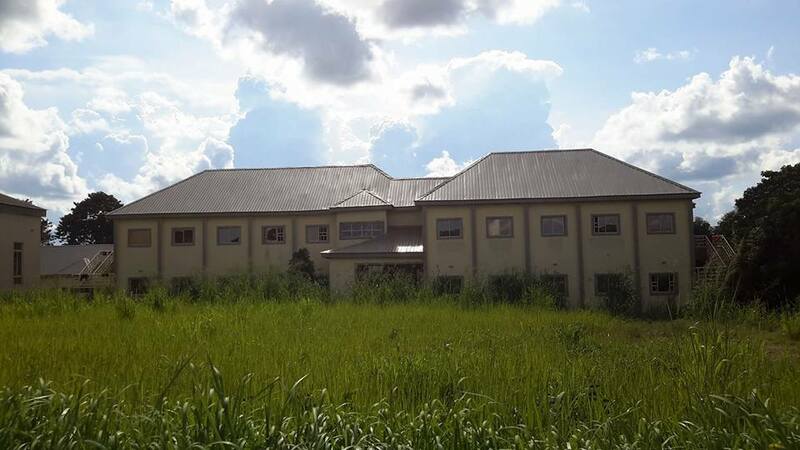 It started in March 2012 with the appointment of Prof.Hyacinth Ocheigwu Oluma as the Rector.Taking over an institution that was in dire need of infrastructural development,Prof. Oluma clearly understood the enormous challenges and the task before him. For a man who has been a lecturer at the university of Agriculture Makurdi and rose through the ranks to become the Dean College of Sciences at the same university. It was not a case of putting a square peg in a round hole. Apart from the State Government assistance to the Polytechnic, Prof.Hyacinth Oluma, with his wealth of experience, explored the avenue of TETFUND interventions which he is judiciously putting into use for the development of key projects within the institution. 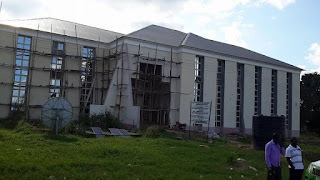 specification, they stop further intervention.The continuous intervention of TETFUND in the polytechnic year-in, year-out attests to the prudent management of the intervention funds by the Rector and his management team. If focused and purposeful leadership were to be measured by height and size, then Prof. Hyacinth Oluma could not have been mentioned here. No wonder a small David defeated a Goliath of Gath. No wonder Prof. Hyacinth Oluma defeated the infrastructural decay he met at the polytechnic. The erudite Professor of refined pedigree is a simple and down to earth personality, easily accessible, accommodating, diligent and committed to his job. He maintains a very cordial and friendly relationship with his management team, staff and students. With a sincere and honest leadership style, he has nipped in the bud the frosty relationship that had existed between managements and unions in higher institutions of learning. Under his leadership, the polytechnic has maintained a legendary relationship with the host community. To demonstrate this, Ugbokolo Community Development Association bestowed an award of Best Rector of the polytechnic on him. This epic event is the first since the inception of the polytechnic. The polytechnic ranks very high in terms of academic and scholarly works. Lecturers are dedicated and students are passionate with their studies. The polytechnic has gotten accreditation for all her courses. Presently, there is a proposal to affiliate the Engineering department of the polytechnic to the University of Agriculture, Makurdi. un-renovated. He has given up his comfort for the development of the polytechnic. Prof. Hyacinth Ocheigwu Apeh Oluma is a seasoned and consummate professor of Microbiology/Plant Pathology, born in the late 50’s. He has received several Awards including the University of Agriculture Makurdi post graduate fellowship award, The European Union, Science Research and Development Grant: Root row of pawpaw in Nigeria Post graduate Fellowship award to mention but a few. Government Areas in Zone C of Benue state.His scholarly works are published in both local and international journals. He has also attended several national and international conferences.Prof. Hyacinth Oluma is happily married with five lovely children. Indeed, Prof. is a seasoned administrator, a consummate educationistand a thorough breed academic. Remodeling of Department of Industrial Design,School of Arts,Design and Printing.Work completed. TETFUND 2010/2011/2012 (Merged). Normal intervention. 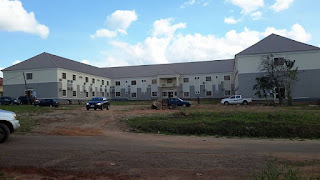 500 Capacity Pre-ND block and offices.work completed TETFUND(Special)intervention. 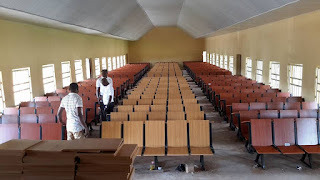 Seven blocks of 500 capacity lecture halls completed and been used.TETFUND 2010/2011/2012 (merged).Normal intervention. Construction of School of Business and Administrative studies . Work speedily on to be handed over by December 2015. Remodeling of Science and Laboratory Technology block. Work is completed and been used. Renovation and furnishing of Department of Accounting &Business Administration block. Work completed and put to use. Renovation and Furnishing of Department of Marketing. Work completed .TETFUND 2013 (special)intervention. Construction of information and communication Technology Department(ICT). Work ongoing. Construction of 5 blocks of Hostels and toilet. Completed put to use.(special)intervention. 1.2 kilometres link road, completed and put to use. Construction of Health Science complex. Work is 88% Completed . TETFUND 2010/2011/2012. 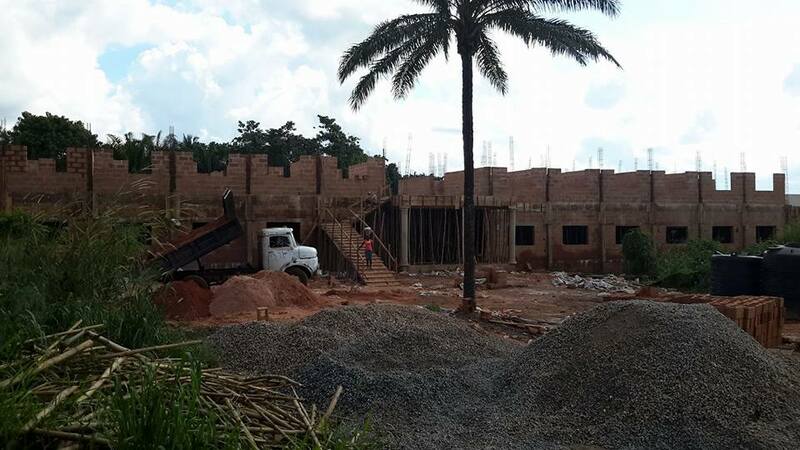 Work ongoing on the Mathematics and Statistics complex . Work is 88% Completed. TETFUND 2010/2011/2012 (merged). Construction of 600 Capacity lecture theater .work ongoing.special intervention. Construction of 5 Lecture halls and offices for the Department of Vocational and Administrative Studies. Work Ongoing . Construction of lecture halls & offices Complex for School of Remedial and General studies. TETFUND (special) intervention. New Administrative block complex. Completed and furnished. TETFUND (special) intervention 2012. 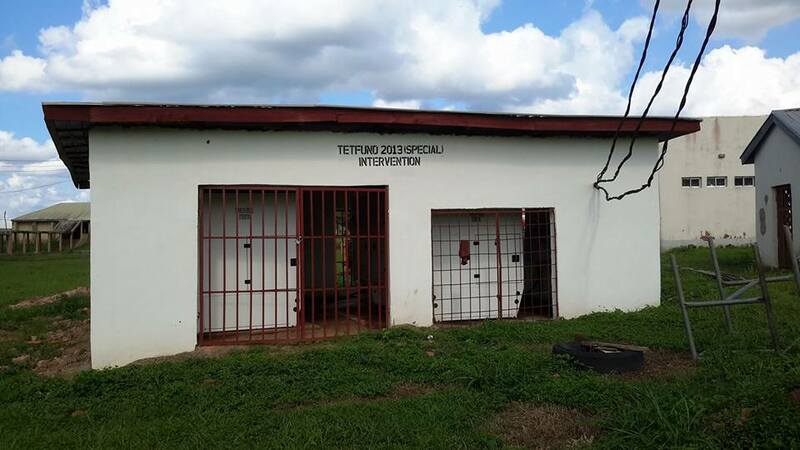 *Two of the three 350KVA Generators, and a 500KVA .TETFUND (special ) intervention 2013. *Construction and furnishing of Academic block. Work in progress .TETFUND special intervention. Entrepreneurship /Skill acquisition Development centre. Work in progress and 98% completed. Construction and Furnishing of automated (E-library) complex. Special intervention. Work Ongoing. Construction and furnishing of Mechatronics complex. Work ongoing. Construction and furnishing of the Department of Hospitality Management. 3 lecture halls,one office ,kitchen and Restaurant. 5 Trucks acquired to enhance mobility for management staffs. SEE PICTURES AS CAPTURED BY Adonis photos. Also get a copy of The Pavilion independence edition.